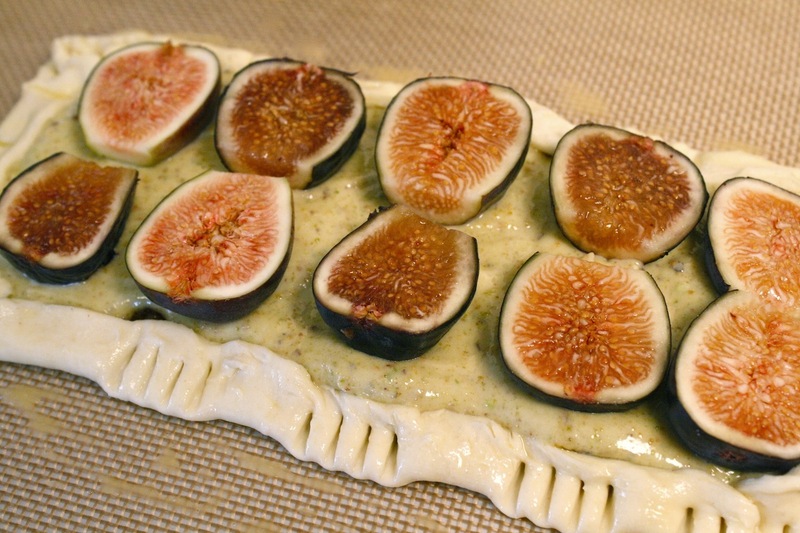 Pistachio Cream Fig Tart, Sprint and Blogalicious! Do you ever wake up inspired? Just itching to expand? 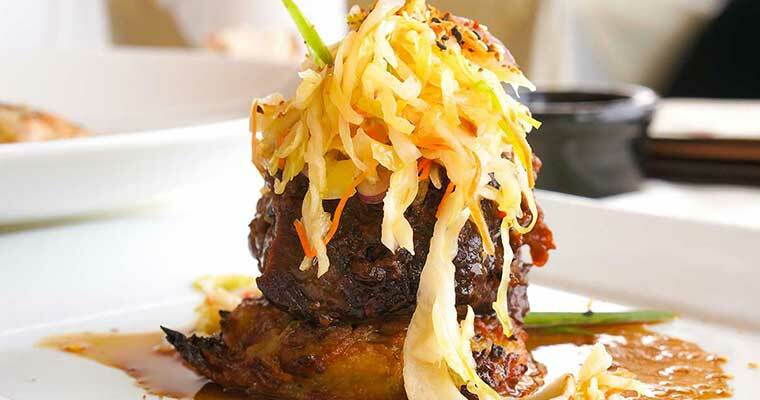 Wanting to get yourself in the kitchen, experiment and get dirty? I was having one of those days. It usually comes when I want something sweet. The air was perfect, the sun was shining through the window, I was playing my favorite music, completely focused on the tart at hand with good vibes all around me. 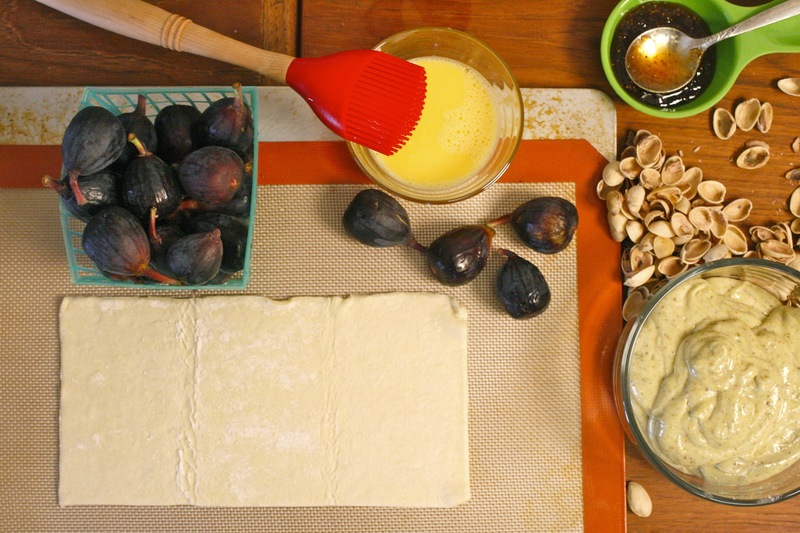 I had all the ingredients in the house for a fig tart and I was making it happen. I could hear my phone making a faint sound from the other room, and something told me to check it. I wiped my hands down and scrolled through my phone. It was an email from Latina Bloggers Connect sending me the AWESOME news that Sprint had chosen me as one of the ambassadors for a sponsorship to Blogalicious in VEGAS! Jumping up and down, excited and acting like a clown, I ran back to the kitchen popped my pistachio cream fig tart in the oven and waited for it to be ready. 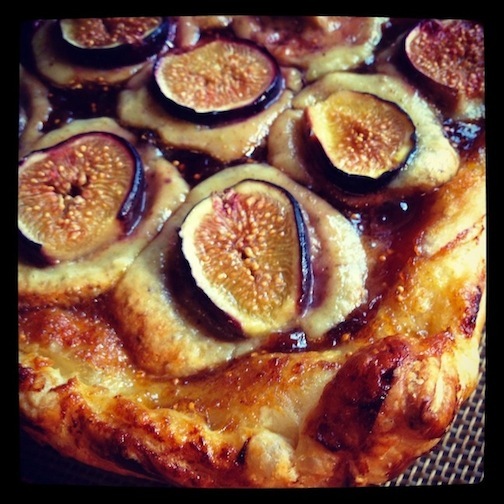 I hit the jackpot twice, not only was I going to Blogalicious, I was going to have my fig tart to celebrate too. (In Oprah voice) Thank You Sprint! Bring puff pastry to room temperature. In a food processors combine pistachios and powdered sugar. Pulse until the pistachios are a fine crumb. Then add in almond extract and cream cheese. Pulse until all is evenly combined. Remove from food processor and set in a bowl to the side. 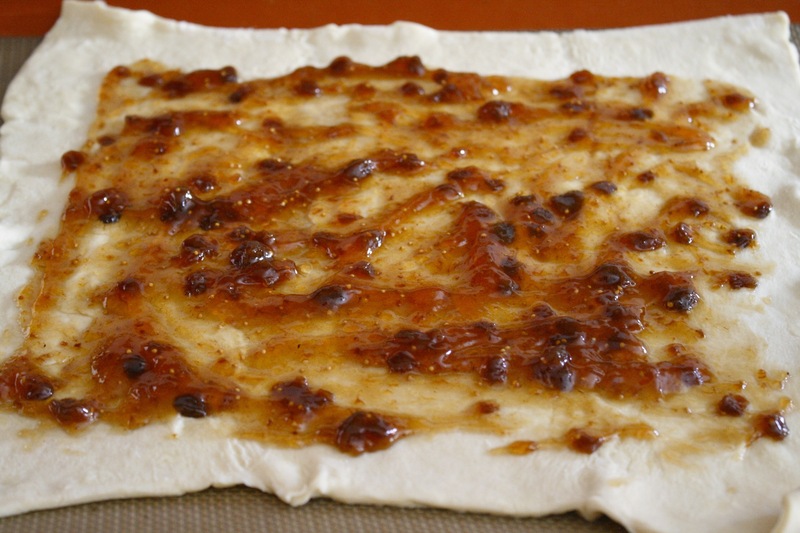 Lay one puff pastry sheet on a lined cookie sheet, and spread with 3 tablespoons of fig jam. Make sure to leave a 1 inch frame all along the edges. Then take a teaspoon of the pistachio cream and drop it in a dollop then take another until you have 10 dollops in a row. Top each with a half of fig. In a little bowl make an egg wash by mixing egg and water together. Then brush edges of pastry with the egg wash. While your first tart is baking, prepare the next one with the rest of the ingredients. Or you could cut the other sheet in half and make two small ones. I ended up doing this for a total of 3 tarts. One large one and two small ones. 🙂 Same baking time. Here’s a picture of a small one before it went in the oven, and instead of dollops of cream, I spread it even. Disclosure: Thank you Sprint and Latina Bloggers Connect …. Blogalicious was a grand time and I am grateful for the sponsorship. Recipe and opinions are my own. Presley – you really have it in for my hips, don’t you? Man, that looks wonderful. And I’m hungry. That looks AMAZING!! I am pinning it now! Looks so delicious for after a hard day at work or school. Now I know better! Instead of sending you an email I need to drive over to your house and wait until a can smell something delicious cooking and then pop in with the hand-delivered invitation! Hmmmm – this tart could not look more delicious chica 🙂 Such a lovely flavor combination. Wow, amazing. Figs are not used often enough, they are so delicious! Thanks for sharing.